Barbour Country Tattersall Scarf - Grey/Blue. 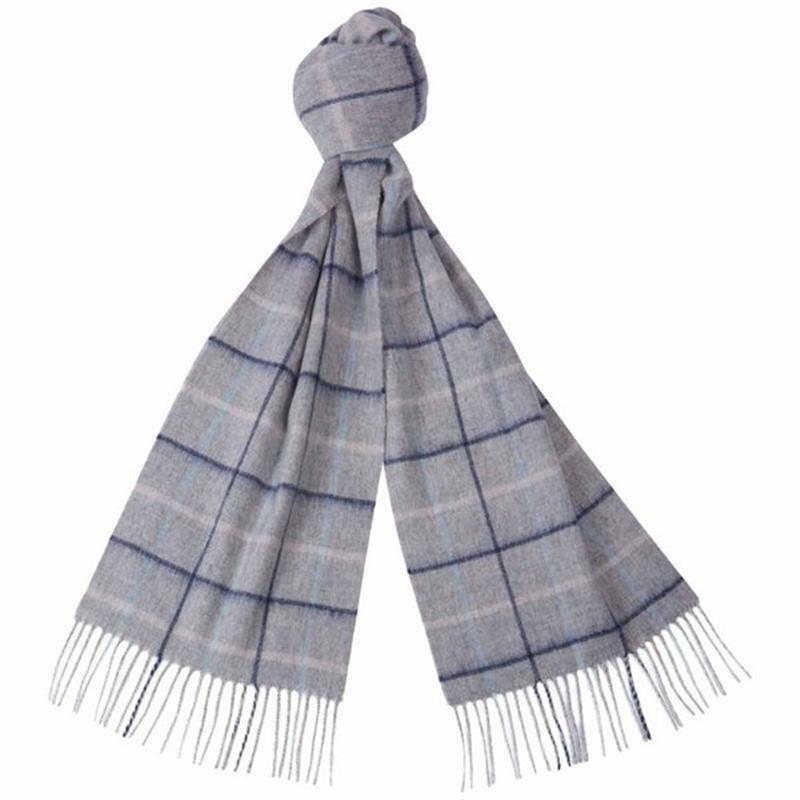 The Barbour country tattersall scarf is made in brushed lambswool and features a classic tattersall design in fresh, feminine colours. Finished with fringed hem edge.